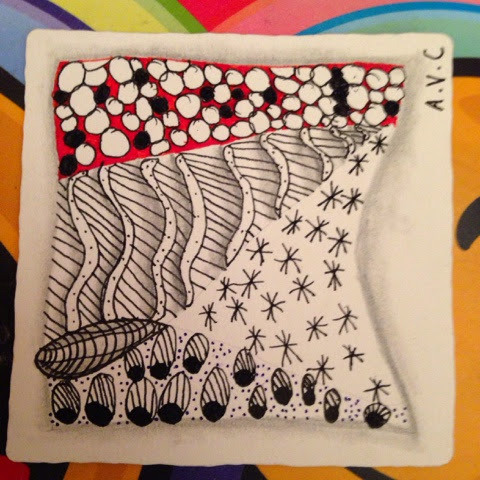 Last week I was drawing some zentangles and the children came to sit next to me. 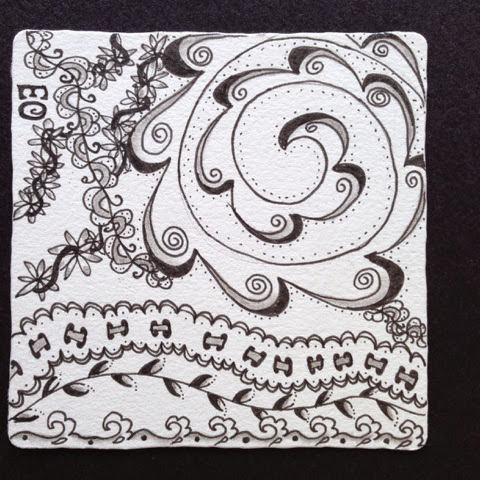 They also wanted to make a real zentangle like I was doing on an real tile. So I gave them each one of my original tiles I bought at my CZT. I learned them some patterns and this is what they made. It was a real nice family moment all together around the table. Especially the eldest likes to learn more and more patterns so I showed her the http://tanglepatterns.com and a nice app Tanglepatterns Galery on the ipad and now sometimes she learns some patterns to me ! Very well done. Both of your children have a good grasp on this.